Robyn Hood #4 (Published by Zenescope; Review by Draven Katayama; ‘Rama Rating: 8 out of 10): A new artistic team takes over with this new arc, and it looks great. Tony Brescini’s style is very reminiscent of Olivier Coipel’s fluid, sketch-like ink lines. I applaud Brescini for drawing each character with an athletic, realistic look that is free of pandering. Pat Shand weaves in a pleasing amount of humor: Robyn and Red’s personal conversation on the subway prompts other passengers to inch away. Shand strikes the perfect balance of downtime and action, keeping our interest when Marian gets ready for roller derby and when Robyn shoots arrows at monsters. 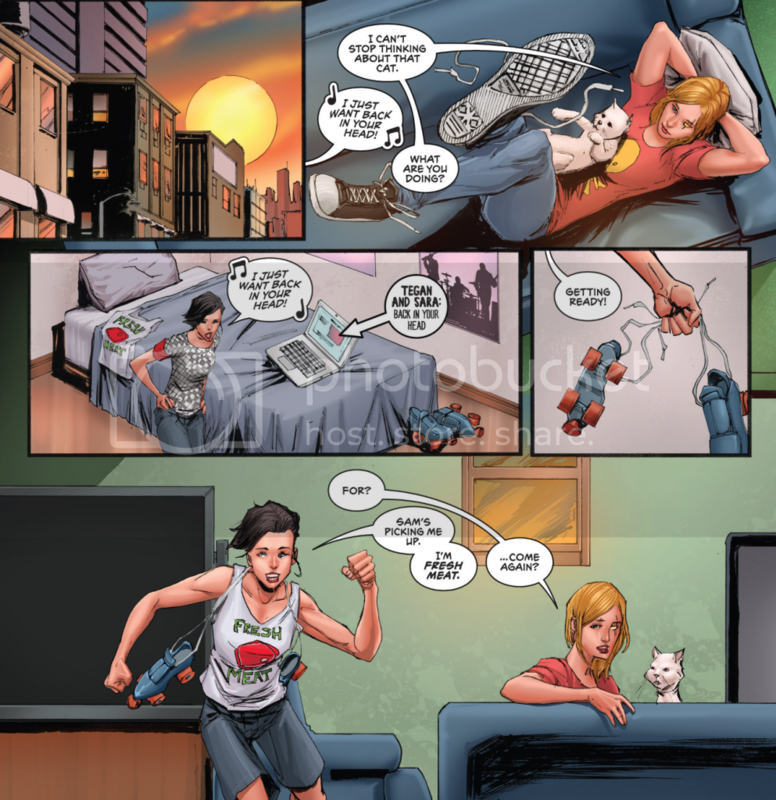 Unlike the average superhero comic, we see Robyn and Marian solidly as relatable people with everyday interests. This new beginning surprises with strong character development, outstanding art, and a clear direction.